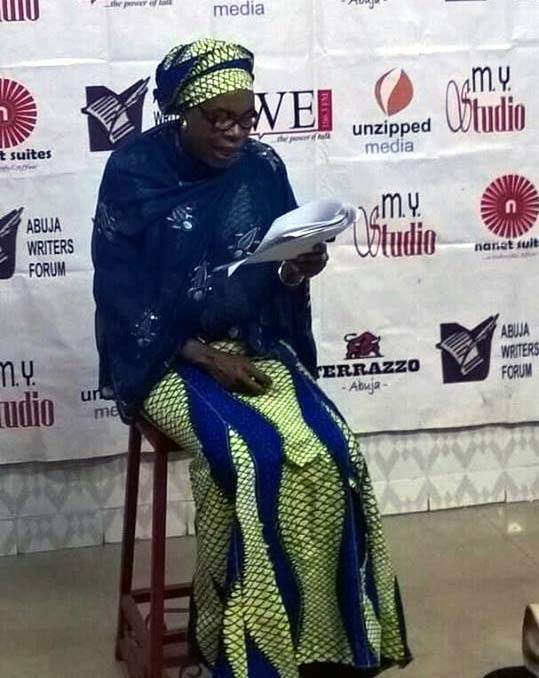 Zainab Suleiman Okino the Editor-In-Chief of Blueprint Newspapers made a presentation to members of Abuja Writers’ Forum on Saturday, the 28th of October, 2017. We have reproduced the whole presentation courtesy of our friends at the Abuja Writers’ Forum. By Zainab Suleiman Okino, Editor-In-Chief, Blueprint Newspapers. When I chaired the special publication marking the 10th year anniversary of Media Trust Limited in 2008 (I was the deputy Managing Editor then) I lamented the death of the previous newspapers I had worked with and happy to note that I was part of the history of Daily Trust to the extent of celebrating and even chairing the milestone publication. Writing about a paper that existed only in time and space and has ceased publication is not a good feeling. I am happy to note that despite the misfortune of publishing in Northern Nigeria, a few other publications—Leadership, People’s Daily Trust and Blueprint have sprouted even after Trust blazed the trail at the close of the last century. They have been able to weather the storm even though we are still many steps adrift compared with our more illustrious and successful peers in the South. I am particularly delighted to be here to speak on an issue that concerns all of us writers. Whether a journalist or creative writer, the goal of most writing is to bring up conversation, and one can only create a conversation out of the body of work published. So, we mostly write to be published. It does not matter in whatever form. The Abuja Writers’ Forum (AWF) I have learnt seeks to encourage the creative writing potentials of Nigerians and beyond. The objective is to promote the development of Nigerian Literature in English and the indigenous languages. And the Forum also aims to facilitate the growth of the country’s publishing industry in all its ramifications and provide a favourable environment for the development of a vibrant reading culture. I do know about your weekly reading and critique sessions, the monthly Guest Writer Session which started since 2008 and other very noble programmes that have made the Forum very enviable. I urge you to keep it up. In a few years, you have done well for yourselves as members and for the creative industry and our country. No wonder we are today concerned about the challenges of publishing in Nigeria. Let me state here that my discussion on challenges of publishing in Northern Nigeria will only focus on newspapers/magazines or the news media publishing and NOT publishing in the broad sense of the word. I do not know whether I am best suited to write/speak on publishing in the North given the fact that I was only (and still) a poor employee at the mercy of the publishers/financiers. In that case I would not know as much the financial burden the publishers faced that led to the closure of the newspapers. Perhaps the best way to understand the challenge of news media publishing in Northern Nigeria is to compare it with what obtains in the South of the country. As a matter of fact, Muhammed Haruna, my mentor and benefactor, and publisher of Citizen Magazine had written on the subject matter during the public presentation of Weekly Trust sometime in 1998. He said something to the effect that high illiteracy level (in this case western education) and the fact that the reading population of the South is somehow concentrated within Lagos city as against the sparsely distributed reading population in some parts of the North which he noted is responsible for high sale of newspapers in Lagos in contrast to the North. Besides, the fact that Lagos is the centre of commerce and headquarters of blue-chip companies puts the south in a good stead for publishing to survive. You may wish to consult the Media Trust library for more on Mohammed Haruna’s paper. Besides this simplistic assumption is the fact of educational disparity between the North and the South, which has its roots in missionary activities in the south and the evolution of newspapering in Nigeria. Today we all talk about the Lagos-Ibadan media power base. We must reckon with the historical forces to what has become the disparity in the publishing space in the North and the South of today. The history of the press in Nigeria could be traced to the late 19th century with the early missionary papers but it became vibrant during the struggle for independence when most of the nationalists used the press to agitate for legitimate demands hitherto suppressed by the colonialists. According to Fred Omu, in his work on press and politics in Nigeria, the formative period of publishing was virtually in southern Nigeria. However, the emergence of the Northern Elements Progressive Union (NEPU) in the 1950s gave rise to vibrant nationalist press in the North. Interestingly, this started when Dr. Nnamdi Azikiwe who was already a household name in the Lagos media circle allowed NEPU activists to publish a Hausa section in his then Comet newspaper with Magaji Danbatta as the editor. Like the case with most publications, the experiment with NEPU did not stand the test of time as there was hardly a commercial interest back home to sustain it. Historically, the south was ahead of the north in news media publishing by nearly a hundred years and this continues to be an advantage for publishers and journalists in the south as against those in the North till today. The end of the Trans-Saharan trade which meant that international contact through trade and education shifted down South is a critical factor that militated against publishing in the pre-colonial times up to the colonial era in the North. The trade in Kola nut in Kano was said to be worth 38 million Deutche Mark per annum in the 19th century. But with the shift in the source of trade from north to the south, northern prosperity was turned into poverty and the majority of the people were forced to become producers of export crops with income barely enough to pay taxes imposed by the colonial government. The capital base to support publishing was never really there in the North. Publishing is part of the economy; hence, it has had its share of the disparity in economic fortunes of the North and South. Trade, missionary activities and colonialism all shaped the viability of the publishing business in Nigeria, and of course western education with English as the medium of communication. Suddenly or gradually, the balance of power shifted and the North could not muster the economic power, the education and exposure that are required in berthing a culture of publishing (in the sense of western civilization). For instance, Iwe Irohin which debuted in 1859 and ran for eight years, was highly patronized by the few literates of that time living in Egba and the entire Yoruba land. The circulation of the paper was around 3,000 as at that time. Rev. Henry Townsend’s main purpose of setting up the newspaper was to make the new Christian converts read and write. Like Townsend himself said: “my objective is to get the people to read and to beget the habit of seeking information by reading” In terms of content, Iwe Irohin published news of church activities, arrival and departure of religious dignitaries, ordinations and so on. It later broadened its contents by adding stories about Abeokuta, cotton and cocoa statistics, and starting from 1960, the newspaper carried advertisements from local firms and government agencies. The publication did face some challenges due to cultural and political upheavals of the late 19th century Yoruba society. But before its total demise, Iwe Irohin had already fulfilled its mission which was to develop reading habit among the people therefore leaving them to yearn for more. Hence, the West African Pilot established by the Dr Nnamdi Azikiwe debuted in 1937 as a protest tool against the British colonial rule. It was soon followed by the Nigerian Tribune founded by Chief Obafemi Awolowo and his Action Group and then The Sketch established by the Western regional government. Meanwhile, the first major attempt by any government in Nigeria to set up a newspaper was made by Northern Nigerian Government, with the establishment of Gaskiya Corporation. Gaskiya Tafi Kwabo made its debut in 1937 and, in 1948 began publishing the English language bi-weekly The Nigerian Citizen. It became a weekly later on. The NPC started the Daily Mail in Kano in 1960; it went out of circulation in 1963. It was not until 1964 that the New Nigerian was established and the first copies entered the market by January I, 1966. The trend showed that there was no major private sector-led attempt at publishing in the North. Why really do publications fail in Northern Nigeria? There are many factors responsible for the failure of publishing in the North. From Gaskiya Tafikwabo, Today, The Democrat, The reporter, The Sentinel, Hotline and Citizen magazines to the few publications in the North that have survived the odds till date, the challenges remain, largely the same. First, it was the coming of the missionary and then colonialism which made western education and English language the preferred medium of official communication. So, with missionary activities and western education, many Northerners were thrust into disadvantage. It was rather unproductive to expect that the predominantly Hausa speakers from the North will embrace a publication in English language which remains the language of most official businesses and governance in Northern Nigeria. Illiteracy level (western education) in the North was and remains a big challenge to publishing. Although, Islamic education was well established in the North before the mid19th century when Iwe Irohin came on board in the South, the fact of colonial conquest, the amalgamation of Northern and Southern protectorates to form today’s Nigeria with the concomitant introduction of western form of literacy in the North, and English language becoming means of education are indications that the North will at best continue to play the second fiddle instead of being at par or in competition in publishing. The role of advertising in the sustenance of the news media requires no emphasis. As such, advertising exists where there is substantial commercial activities and trade. Sellers need the media to connect to buyers at all times. In this case, the print media and publishing come handy to propel commerce. From experience, over 70 percent of adverts published by the news media (print and broadcast) in Nigeria are paid for by businesses and political interests in the South or are developed by creative hot shops in the South. Another factor to note is that advertisers are concentrated in Lagos. As Africa’s second largest commercial centre and Nigeria’s business hub where almost all companies including banks have their head offices, advertising companies follow suit to establish their presence in Lagos. Thus newspapers in Lagos have the patronage of these companies through the advert agencies. This is near absent in the North until recently when Abuja (Not core North) has started getting a negligible fraction of the commercial adverts that go into newspapers. Political adverts that should have replaced this gap are purely based on who personal contacts without consideration for Abuja or Northern based newspapers. Besides even Northern elite prefer to patronise Southern newspapers and their editors/publishers. Having been in power for many years and for the better part of the country’s first 30 years after independence, perhaps the Northern elite felt two comfortable to bother, while the South resorted to interrogating activities of the government thereby endangering the establishment of many newspapers. Also, the military regimes produced the bulk of the political and administrative elite including veteran journalists. This group did not need the media to sustain themselves in power and also did little to invest in the news media or publishing unlike in the South where there are a lot of media creations that went on to become huge political gains. A good example is Chief Moshood Abiola whose Concord helped his political rise to power, not to talk of Bola Tinubu with substantial investment in The Nation and TVC. In the North, loyalties to partnership are not nurtured to sustain the media. (I may be wrong though). There have been cases of partnership between businessmen and journalists going awry after the paper had blossomed into an institution. I remember how chairman of a foremost newspaper in the North was shoved aside almost three decades ago when he was editing a weekly tabloid after the paper had stabilised. As a young corps member, I did not know the boardroom squabbles that transpired, but the editor had to leave to find succour outside the country. Sadly when that same editor became a media mogul, he did several coups against members of the board to remain atop and frustrated the pioneer staff that toiled to bring the paper to the level of profitability it attained. Lack of interest by Northern businessmen is also a contributing factor to the woes of publishing in the North because the business does not generate huge interest within a relatively short gestation period. Again, the challenge posed by the broadcast media especially the radio which most people rely on for news also means that there is less reliance on print publications for dissemination of information in the North. The circulation of newspapers in the North is often poor. I do not know whether to attribute it to the sparse distribution of populations as was postulated by Muhammed Haruna on how the sale of newspapers alone in Lagos surpassed sales in the whole of the North put together. What is certain is, without good circulation no publication can be sustained to profitability. Even though copy sales matter very little these days, advertisers want to do business with papers that are widely circulated. The news media in Northern Nigeria has not lent the desired level of partnership to literature. While folklore and oral literature had traditional story tellers to thank for its perseveration, same cannot be said of the exposure given to literary works by the news media in the North. Contents such as poetry, short stories and book reviews are given far less prominence by the print media in the North. The result is the dwindling level of interest shown by the younger generation in the creative arts and literature. It is the responsibility of the media to fish out and beam the searchlight on these budding talents, encourage them and endear them to the literary world. It is however appropriate to point out here that Blueprint Newspaper, where Ibrahim Sheme had the foresight to begin a book review section; Daily Trust where the same Ibrahim Sheme and Aisha Umar Yusuf began the literary section as nurtured and sustained by Muhammed Kabir, Theophilus Abbah, a writer himself and Ibrahim Muhammed Adam, award winning author and literary giant and a few others, have kept hope alive that newspapers can actually help nourish literature in North. Beyond the foregoing, there are no robust platforms for literary expression or support for publishing literary works in most parts of the North. The challenge of social media to the conventional media is changing news consumption pattern in Nigeria. Time was when we had to wait for 24 hours for ‘news to break’ with the exception of the snippets allowed on radio. I use the expression (snippets allowed) advisedly. Since the media was largely a government business then, especially the broadcast media, journalists covering events would always slant their stories in favour of government officials or those who spoke in their favour. All that began to change in the last 10 years or so when social media began to take shape and root in the country. Today what you have is news on the go brought to you as the event is unfolding. This has left the conventional media agape. We (meaning conventional media) simply have no answer to this incursion that may leave many of us jobless in the years ahead. This is so obvious; and an example here may suffice. At the Nigeria Guild of Editors’ (NGE) biennial conference in Lagos, in May this year, something curious happened. First NGE is a collection of mostly editors from the print and a handful from the broadcast media. At such an event you would expect to see a lot of people holding the day’s papers, perusing to get the latest news. However almost everyone in the hall was on his or her phone doing whatsApp, snapchat, twitter, instagram etc. The newspaper was not useful because almost everything published that day, had been published more than 24 hours earlier. As a matter of fact, people were reading the day’s news that day from their phones. I concluded then, that the days of the newspaper were over. If newspaper men are not reading their own products, who will? I concluded within me that the days of newspapers are over and we are probably on the verge of losing our jobs. Recently I told my colleagues, production staff precisely, to reduce their demands for one thing or the other because there are ominous signs that their job is on the line, not because I know of any plan to sack them but because the industry is in trouble. For a small newspaper like Blueprint battling for survival, we have about 10 production staff whereas an entire online newspaper may not need that number to put their contents up. On the day in question, the head of the department was asking for more. I told them to take it easy because whatever special job they think they are doing for the company is now handy and in everyone’s phone. It is that serious. And this is manifest in the way conventional newspapers fall heads over heels to pick stories from the online platforms. When Kachikwu’s letter to the president on his feud with MK Baru leaked and was published by Sahara Reporters, newspapers/editors were unashamedly competing among them over who got the best headline over a story that broke the previous day. Yes, headline and who does it better; that’s all we have left, with the exception of a few cases of investigative and human interest stories here and there. Right now most government adverts that flow to newspapers, apart from a few that have access to corporate adverts, are from MDAs because of the statutory provisions that such, like tenders for contracts and the likes be so advertised. So the day the finance minister, Kemi Adeosun will wake up to the realisation that government could save money from there, she will give a directive to that effect. May that day never come. If you are still in doubt that the social media is like the hurricane that is here to sweep all of us away, you must be joking. The American President, Donald Trump’s use of Twitter to convey even policy matters underscores this hurricane metaphor. What is more; our children now think it is old fashioned to read newspapers when they can get all the news/information from their phone. This trend is forcing newspapers and magazines including internationally entrenched ones like The Economist, Times and New York Times to cut down on their print run. The Telegraph in the UK has published its last hard copy. Not even the advantage of sound and vision that the television has, has been able to save it from the grip of the social media. Before the production crew will get to the office to prepare their reports after an event, the ‘the citizen journalist’s story is all over the social media. I’m not a doomsday advocate, but the reality of the social media and erosion of the conventional media stare us in the face. My advice is for us to be more innovative as writers and news media organisations; to survive the threat posed by social media and other challenges to publishing particularly for those of us in North. Omu, F. Press and Politics in Nigeria; 1880-1937 London: 1978.